هل سئِمت من نسيان كلمة السر الخاصة بحساباتك على مواقع التواصل الاجتماعي وغيرها؟ هذا التطبيق سيفيدك في حفظها ! كل ماعليك سوى تحميله وكتباتها في التطبيق وعندما تريدها تفتح التطبيق وستجدها, كمّا انه يأتي بتصميم الماتيريال ويحتوي على اضافة ملاحظات ايّ يعمل كتطبيق ملاحظات ايضاً. Are you the one who ends up clicking 'Forgot Password' everytime you try to login. Passkey is here to solve all your issues. Keep all your credentials (Social, e-shops, e-banking etc) at one place and forget about memorizing each and every password. Now you just have to remember a 4-digit master PIN (we know you can do it). Walked into a door and forgot the 4-digit as well? then the pin will be mailed to you which you enter at the time of registration process. Want to create a secured note which only you can access? this Password Manager allows you to do so and that to is very much secured. Want to have a secured password which no intruder can guess? 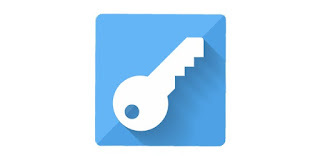 this Password Manager allows you to generate new secured passwords with your mentioned length and type. Want to change the 4-digit master pin or recovery email? Do so in 3 simple steps. To use all this great features you just need to install this amazing material Password Manager on your device and follow 3 easy steps of the registration process. Developed By Mahesh Gupta and team AndroConnect.